We know she's health-conscious and probably busier than those of us who sit around and write articles about her. She comes in to hugs from kids, all too young to be watching themselves while she's out. No hugs from dad or any sign of him. Presumably, Mom jogs before the kids wake up. Perhaps Dad got them dressed and set them all right by the door to wait for her to return. Upon further review, the kids are in their jammies, so they apparently wake up and go wait for Mom by the door. Kind of sad. She's in a bedroom tying shoes or something. We might assume she comes home to take a shower after her jog, but then she would appear to be putting on another workout outfit. Perhaps she does not sweat while jogging, only needing footwear adjustment to be presentable. She pays more attention to TV than her kids while serving breakfast in her jogging outfit. I'm wondering if she's able to make healthy choices for the kids while distracted by Arielle Nixon (the main reason I don't watch the news while fixing breakfast for my kids). I also noticed that her son looks at her strangely when she kisses him on the cheek as he eats, perhaps as an indicator that Mom is uncharacteristically loving when the cameras are rolling. Or that she needs to take a break to shower after jogging. She is jogging down the middle of the street at the end of the ad, implying she came home, made breakfast, and then headed back out for another jog (in the same clothing) while the kids drove themselves to school or childcare. Also, if you jog on a street, you should jog against traffic, not down the center, unless you're trying to avoid some of those giant spiders I've seen in Florida.Yes, this could be a flashback, implying her mind is wandering back to the happy time when she's alone and not having to deal with the kids and absent husband. Either way, her morning is a fallacy, presented to viewers to imply we all have time to watch the news while still taking care of our families and bodies. In real life, if you exercise in the morning, you are rushing through throwing some Cheerios on the table for the kids and getting a shower in so that you don't scare people away at work. 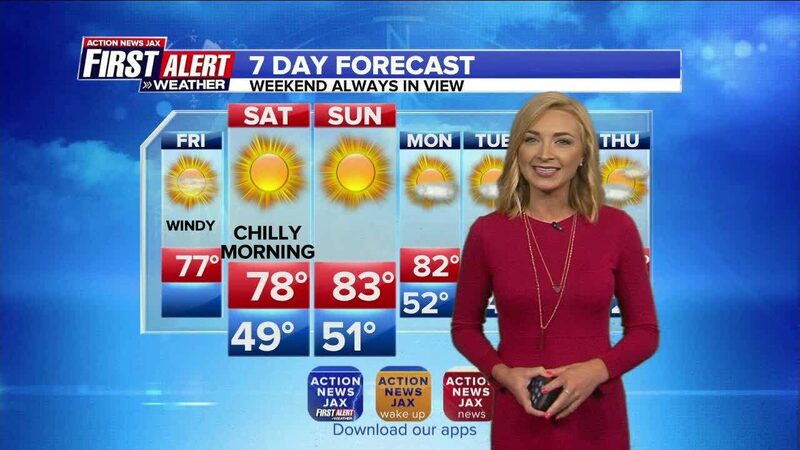 I know, Action News JAX wants us to believe that there's time for important news within that time frame, but you're probably better off listening to traffic and weather on the radio, which you can do while jogging or showering or driving. Also, maybe the news in the morning (I have not watched) is more upbeat than that in the evenings, but if not, then it's not at all close to appropriate for these young kids to be watching homicide and other crime reports while eating breakfast. As an important final note to those of you who want to set your TV up for news in the morning, kids who eat while watching TV may miss cues from their bodies that tell them they're full. Also, it means you are not interacting with those children at the time. In the ad, we see a loving mom who hugs the kids, but then she sets them in front of the television for a meal, presumably allowing the newscasters to engage the children in the mealtime conversation. That's dangerous when it comes to obesity, social interaction, and the ability of parents to show they care. The purpose of the ad is to reach out to busy moms who might also want to be informed. However, if you relate to the ad or already follow its advice, you should be worried.